NO. 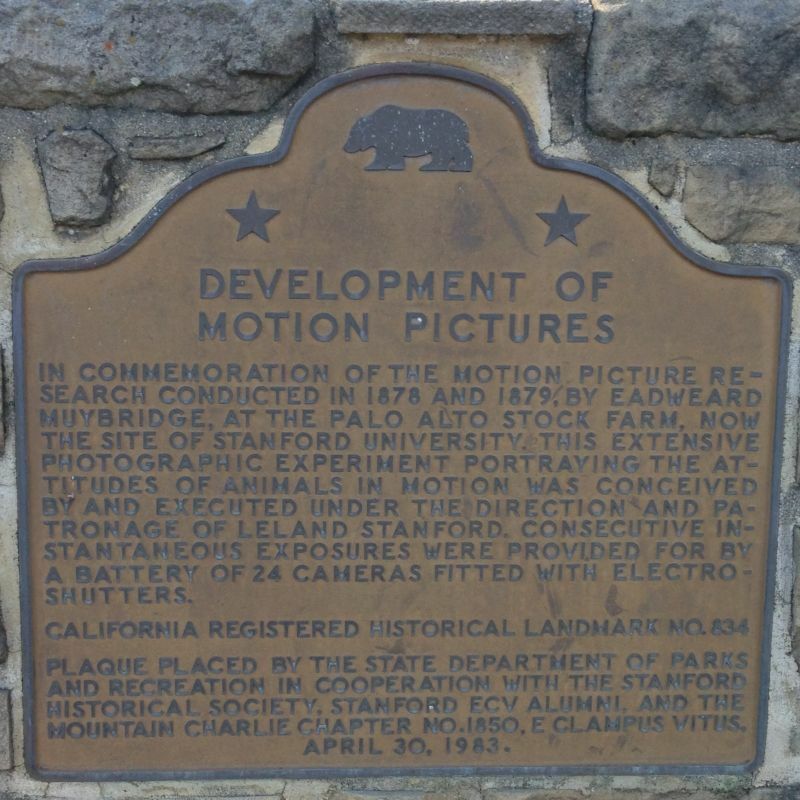 834 EADWEARD MUYBRIDGE AND THE DEVELOPMENT OF MOTION PICTURES - In commemoration of the motion picture research conducted in 1878 and 1879 by Eadweard Muybridge at the Palo Alto Stock Farm, now the site of Stanford University. This extensive photographic experiment portraying the attitudes of animals in motion was conceived by and executed under the direction and patronage of Leland Stanford. 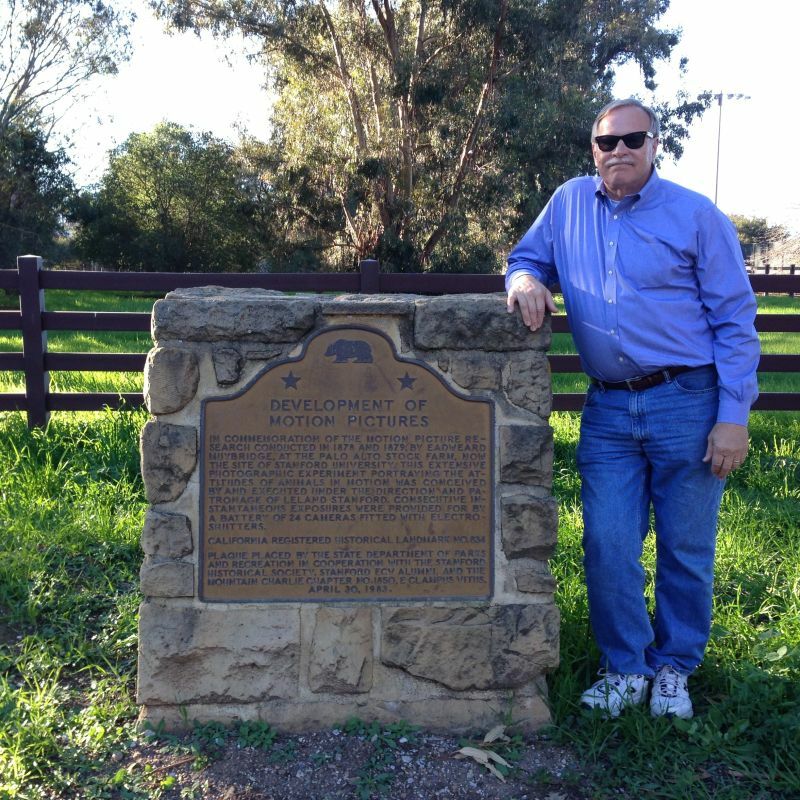 Consecutive instantaneous exposures were provided for a battery of 24 cameras fitted with electroshutters.